What's the Best Bowflex Machine - Max Trainer, TreadClimber or Other? Home » Treadmill Questions » Which Bowflex Cardio Machine Should You Choose? Which Bowflex Cardio Machine Should You Choose? It seems like there are endless choices when it comes to buying a Bowflex, and we’re always asked here at Run Reviews to differentiate between their Max Trainers, TreadClimbers, ellipticals, treadmills and other cardio equipment. They offer something for everyone, and they seem to release new products more often than most other fitness companies do. Obviously all of the Bowflex machines are designed to get you and keep you in great shape…but what’s the difference between all of their machines and which one is best for you? By far the most popular piece of exercise equipment the company sells is the Max Trainer. Bowflex sells tons of these compact machines every year, and there are over 2.5 X as many Google searches for the Max Trainer than there are for its second biggest seller, the TreadClimber. The Max Trainer is a hybrid machine: an elliptical trainer combined with a stepper, giving you the benefits of both, including maximum calorie burn and minimum impact on your joints. According to the company’s research, you can get a more effective workout in less time than you can on a traditional cardio machine. Here you have the base M3, the popular mid-range M5 and the top of the line M7. As you move up in the Max Trainer lineup you get more resistance levels, more built in workouts, tracking capability and enhanced features. Prices range from $999 for the base M3 all the way up to around $2,199 for the high end M7. 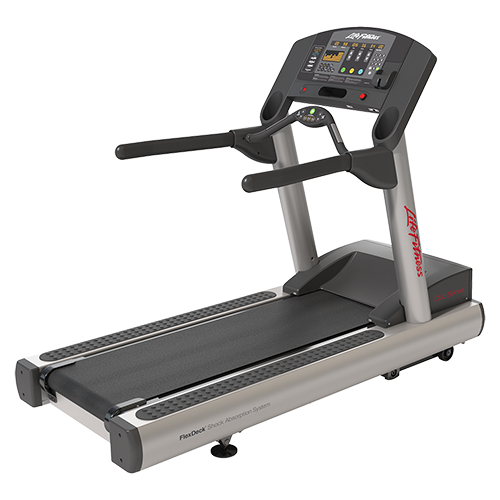 The second most popular cardio machine in the Bowflex lineup, the TreadClimber is more like a treadmill with its two “treadles”, which resemble a treadmill belt cut in half. 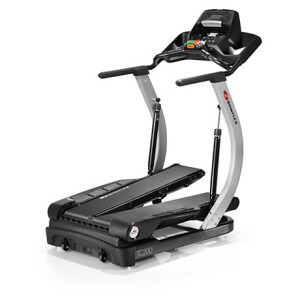 Yet it adds an elliptical and stepper motion as well, which is why it’s marketed as three machines in one, as opposed to the Max Trainer which is two machines in one. So you get a treadmill, an elliptical trainer and a step machine, and just like with the Max Trainer, you can get a very effective low impact workout in a relatively short amount of time. There are currently only 2 Bowflex TreadClimbers: the base TC100 and the more advanced TC200, costing around $1,999 and $2,999 respectively. The TC200 has built in workouts, wireless heart rate monitoring, slightly higher max speed and a better warranty than the base TC100. When you think of Bowflex what typically comes to mind are the eponymous home gyms that you used to see on TV all of the time. You can still catch some infomercials from time to time, but not as many as in the old days. Although not as popular as they once were, there are still tons of people who buy these all in one units each year. Currently you have the Xtreme 2 SE, the Revolution and the newer HVT. The Xtreme 2 SE is the least expensive of the three and the most popular, featuring bending “Power Rod” resistance from 210 lbs. up 410 lbs., which is plenty of weight for any level of fitness. You can do over 70 different exercises, targeting all different muscle groups, and move from one exercise to the next seamlessly as you don’t have to change any cables like you did on some of the older models. The more advanced Revolution is not as compact as the Xtreme 2 SE, but it gives you more than 100 different exercises using “SpiraFlex” plate technology. Here you have actual plates like you have at the gym rather than the bending rods on the Xtreme 2 SE. The Xtreme 2 SE costs around $1,599 and the Bowflex Revolution costs around $2,999. The HVT, short for High Velocity Training, is quickly becoming one of the more popular home gyms on the market. It features a cable pulley system that promises a full body workout in only 18 minutes. Whereas the traditional home gyms feature a bench that you can sit and lie down on, the HVT is a standing machine with low, mid and high cables that you use to engage the arms, legs, chest, back and core in a series of targeted movements. The Bowflex HVT is a lot like the cable stations that you find at the gym. Those typically come with just two cable arms that you can adjust to various heights and widths. The HVT is like an advanced version of those with a console and built in workouts. You have the base model and the HVT+, at $1,799 and $2,299 respectively. Bowflex used to have a full line of treadmills many years ago, but then they discontinued them as they focused on the popular Max Trainers and TreadClimbers. 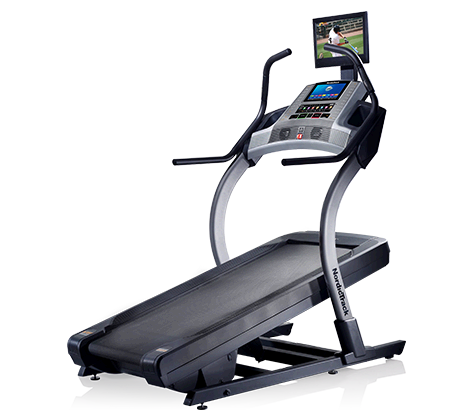 In 2017, they brought back the traditional treadmills, and added ellipticals to the mix as well. We’re not sure why, as there is so much competition there. But the machines do have some unique features that set them apart. 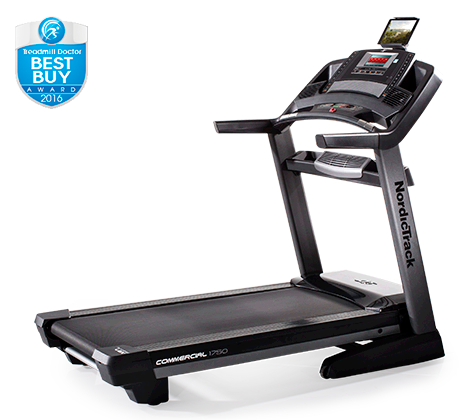 The traditional treadmill line competes directly with NordicTrack and Sole, and features the BXT116 and the BXT216. Both have strong motors, up to 15% incline capability, 4 user profiles, Comfort Tech cushioning, grip and wireless heart rate, 3 speed fans, workout tracking and large running surfaces. The BXT216 is a little more advanced, with additional workouts, stronger motor, larger LCD display, handrail controls and a higher max weight capacity. 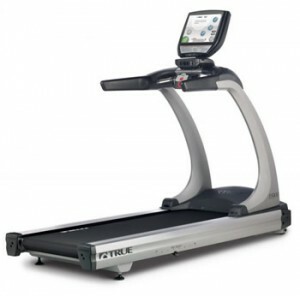 The two treadmills cost $1,499 and $1,799, respectively. The new Bowflex ellipticals also come in three models: the traditional BXE116 and BXE216, and the newest member of the Bowflex lineup, the LateralX Trainers. The BXE models come with 25 resistance levels, 4 user profiles, plenty of workouts, grip and wireless heart rate, workout tracking and the burn rate calorie console. 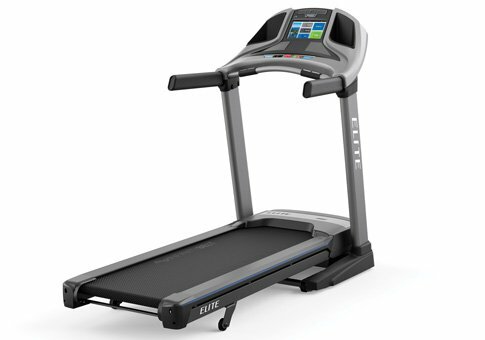 The ellipticals are priced the same as the treadmills…$1,499 for the base BXE116 and $1,799 for the more advanced BXE216. The new Bowflex LateralX trainers are ellipticals with not only front/back, up/down motion but also a 3rd plane: side to side. This more closely mimics your everyday movement, and works additional muscles in your legs for a more complete workout. These machines are very similar to Octane Fitness LateralX trainers, only these are much more affordable at less than ha;f the price. The whole product line is basically split into home gyms and cardio trainers. So if you are looking for something to replace a gym membership as far as strength training, you’re looking at the traditional home gym Xtreme 2 SE and Revolution, and the newer HVT cable system. The closest to a gym workout would be the Revolution with its unique plate system. If you want to save a little money and you’re OK with the bending rod resistance then go with the Xtreme 2 SE. Lastly, if you want a quick full body workout, without any sitting or lying down movements, consider the popular Bowflex HVT. As far as the cardio machines, your decision is a little harder. You have the hybrid Max Trainer and TreadClimber, as well as the traditional treadmills and ellipticals, and the new LateralX. There are advantages and disadvantages to each. The Bowflex Max Trainer is going to be more like an elliptical workout, with a step trainer cardio element added. So it’s a lot different than a traditional elliptical, and gives you a different type of workout. As far as the pros, it is a very compact machine, has a good amount of resistance levels to choose from and 2-4 user profiles. As we mentioned, you can get a complete workout in less time, burn a good amount of calories and tone up additional leg muscles. As far as the cons, the three Max Trainers are not as advanced as comparably priced elliptical trainers, e.g. less advanced displays, lower max weight capacities, shorter warranties. So you’re paying a bit of a premium for the uniqueness of the workout. So it is ideal for those with limited space in their home gyms, as well as for those who like the idea of a 2 machines in 1 workout with less time required to achieve results. The Bowflex TreadClimber is three machines in one, but it definitely resembles a traditional treadmill in the way your feet move along the belt. It just has the added element of an elliptical pattern and a step up motion. 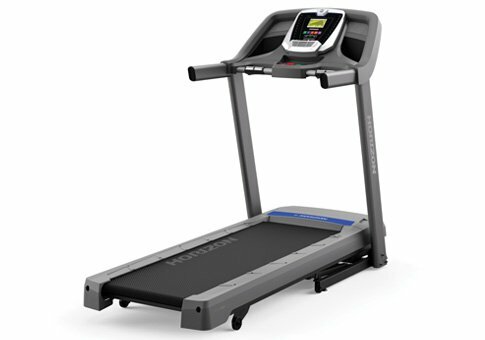 As far as the pros, just like the Max Trainer it is a very compact machine, certainly much more space friendly than a traditional treadmill. You can burn a lot of calories in a shorter amount of time, and target different muscle groups…also similar to the Max Trainer. As far as the cons, again these are expensive machines, and they are definitely not as advanced as similarly priced traditional treadmills. Warranties are an issue here as well. Plus, the TreadClimbers max out at 4.5 mph, so these are strictly walking machines. If you’re a runner, or even a jogger, the Bowflex TreadClimbers are not for you. So it is ideal for those who want a compact cardio machine that they can use to burn calories and tone up muscles in a short amount of time, but don’t want or need to jog or run. If you don’t like the idea of two or three cardio machines in one, or are more of a traditionalist, then take a look at the regular treadmills and ellipticals that they recently reintroduced, and the LateralX. 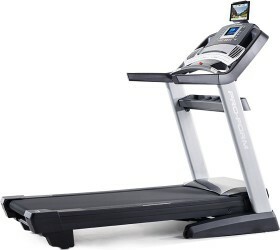 Here you need to compare them to similarly priced treadmills and ellipticals on the market, i.e. those from NordicTrack, Sole, Horizon and ProForm. 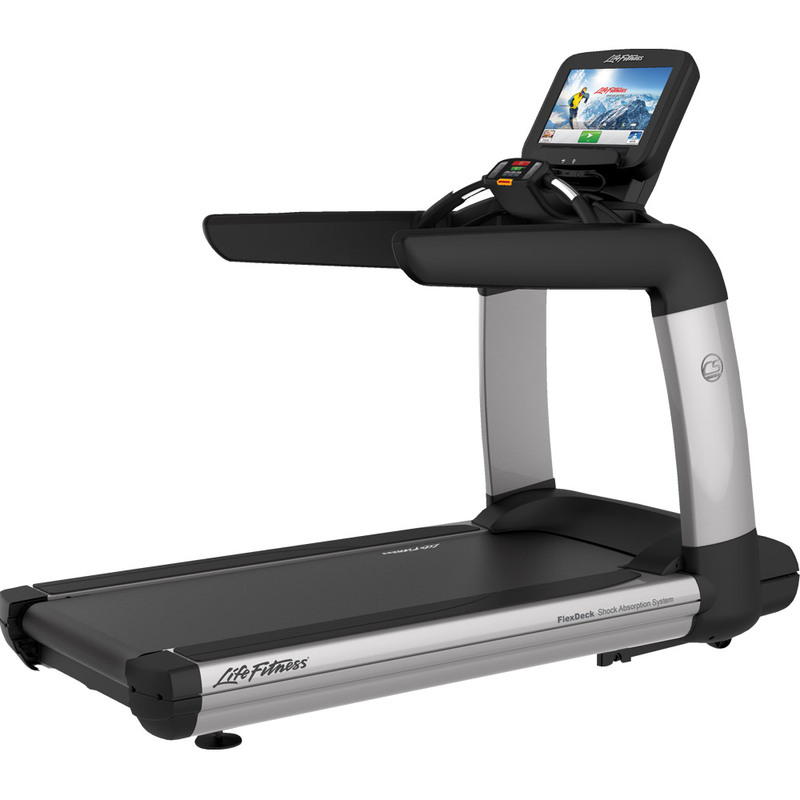 As far as the Bowflex treadmills, they have strong motors, nice 15% incline, decent array of workouts, grip and wireless heart rate, fans, speakers, Bluetooth, folding capability, good cushioning, high max weight capacities and generously sized belts. The only real negative is the frame and drive motor warranty. Whereas you typically get lifetime frame and motor from their competitors, you only get 15 years on Bowflex treadmills. That’s a big difference, and speaks to the lack of confidence the company has in its products’ durability. So you get a lot of great features, you just don’t get the rock solid warranty that companies like NordicTrack and Sole offer. As far as the Bowflex ellipticals, it’s the same story. You get a nicely weighted flywheel, 25 resistance levels, good programs, grip and wireless heart rate, Bluetooth and high maximum user weight. But again, you have a 15 year frame warranty, as opposed to lifetime on comparably priced traditional elliptical trainers. The LateralX trainers are going to be unique as far as the side to side motion. As of this writing only Octane offers a similar machine (both are owned by Nautilus, Inc. by the way) but as we mentioned that one is much more expensive. They are more expensive than the traditional Bowflex ellipticals…about the same as the TreadClimbers. So you’re paying a bit more for this uniqueness. 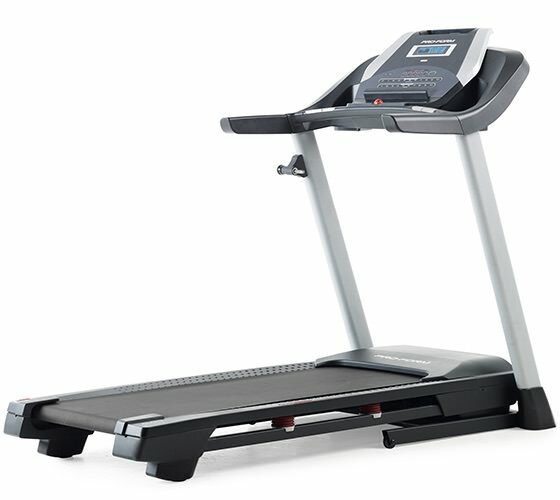 If you are deciding between a Bowflex treadmill/elliptical and a competing one, just make sure you consider the warranty as that is a big factor. We would opt for a machine with a stronger warranty like one from NordicTrack or Sole. You’re not sacrificing any features and you can often get even more technology like touch screen displays, something Bowflex does not currently offer. So there you have a breakdown of all of the Bowflex machines on the market today: the Max Trainer, the TreadClimber, the Xtreme 2 SE, the Revolution, the HVT, the traditional treadmills and elliptical trainers and the new LateralX. Hopefully you now understand the differences between all of them and can make a more informed decision. Look at the features and capabilities of each one, compare that to what you can get from other top companies, and decide if a Bowflex machine is right for you.